“Il-Ktejjeb tal-Ħrejjef” huwa ktieb ta’ Lorna Vassallo li huwa maħsub li jqanqal kritika ferm itwal mill-ktieb innifsu. Ġewwa l-ħrafa jaħbi wkoll il-verita` u sta għall-qarrej li jifhem l-istorja kollha, partijiet minnha jew xejn. Hija ħrafa ħelwa li tintlaqa’ tajjeb minn kull tifel u tifla li ser jippruvaw jiżbħu d-diżinji li jakkumpanjaw ir-rakkont mħejjija b’reqqa liema bħalha mill-artist żgħażugħ Mark Scicluna. Għalhekk, filwaqt li t-tfal b’leħen ferrieħi jaqraw ir-rakkont fejn “il-paġġi u l-muskettiera tar-Re jiġbru l-flejjes”, bħala adulti, min-naħa tagħkom, tiftakru bil-mod il-mod il-problemi tal-kontijiet tad-dawl u l-ilma, il-prezzijiet tal-medicina fl-ispiżeriji, u l-kaxxa ta’ Malta fejn il-flejjes dejjem jonqsu u qatt ma jiżdiedu. Dinja monarkika li kumbinazzjoni hija regolata minn sistema demokratika bħal tagħna. Il-ktieb jinbex kemm l-intelliġenza kif ukoll l-immaġinazzjoni tal-qarrej, jisfidalu l-maturita` tiegħu kif ukoll l-għarfien tal-avvenimenti u l-iskandli politiċi li seħħew mill-2001 sal-2005. Dawn is-snin kienu erba’ snin ta’ taqlib politiku kbir, fejn wara referendum, Malta għaddiet għal elezzjoni ġenerali, għal sħubija sħiħa fl-Unjoni Ewropea, għall-elezzjonijiet interni taż-żewġ partiti prinċipali, għall-bdil fil-presidenza u għall-ewwel elezzjoni tal-Parlament Ewropew. Iżda matul dan iż-żmien kollu l-ekonomija baqgħet sejra dejjem lura. Skandlu wara l-ieħor ixxandru fil-bulettini tal-aħbarijiet li lil xi wħud ixxukkjawhom, iżda oħrajn, frott tal-fiduċja għamja li kellhom fir-Re ċaħduhom mingħajr ma staqsew l-ebda mistoqsija dwarhom. Kif jiġri dan kollu fid-dinja, jew aħjar, ir-Renju, tal-Gżira ċ-Ċkejkna? Kif irnexxielha Lorna Vassallo tiddeskrivi elezzjonijiet moderni bi kliem semitiċi u b’sempliċità li fuq il-wiċċ tal-istorja ma ddaħħallek l-ebda dubju li dik hija sempliċement ħrafa? U x’se jgħidu t-tfal wara li jaqrawha? Ser togħġobhom? Min ser ikun il-karattru favorit tagħhom? U fl-innoċenza tagħhom lil min ser jikkundannaw ? Lir- Re Żemenda ? Lir-Re l-Ġid ? Jew lill-Ġeneral Albus ? U min huma dawn it-tlieta fil-politika Maltija? Veru li kien hemm xi seħer marbut mal-kamra tal-flus biex jisparixxihom? Jew dan is-seħer ma kienx ħlief skuża biex il-paġġi tar-Re ma jħossux il-kuxjenza tniggiżhom u jikkundannaw lir-Re tagħhom stess? “Il-Ktejjeb tal-Ħrejjef”għalhekk huwa verament ħrafa għal kull eta`. Ammont limitat ta’ kopji minn dan il-ktieb qed jingħataw b’xejn lil dawk li jattendu l-attivitajiet ta’ Lorna Vassallo għall-ewwel darba. Jekk tridu tiksbu kopja ta’ dan il-ktieb mod ieħor tistgħu tikkuntattjaw lil Lorna Vassallo jew it-tim tagħha fuq vassallolorna@gmail.com jew www.facebook.com/lejnmaltaaaa jew inkella fuq is-sezzjoni ta’ kuntatt ta’ din il-paġna elettronika. 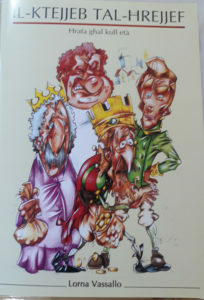 The book covers all Form 1, 2, 3, 4, 5 Malta government schools and ‘O’ level syllabi. Especially recommendable to secondary level Maltese students and ambitious foreigners. 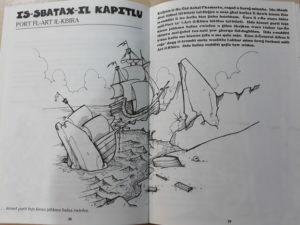 Book 2 & 3 (127 and 95 pages) of the series published in 2013 were the first Maltese Grammar Exercise book with answers built step by step on the chapters of the first book (1st Edition published December 2012). These allow you to correct yourself / your children’s work as much as you want without the need of any teacher’s or native speaker’s help. Book 2 includes all the exercises (including some of the most complex questions of Maltese grammar) and Book 3 contains all the answers and/or explanations to Book 2. 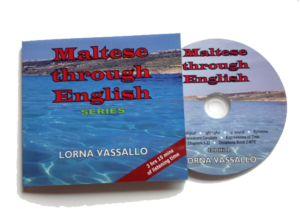 Book 4 (352 pages) A comprehensible classification of all groups of Maltese Verbs according to origin, root consonants and stem, tenses, and especially all modifications upon the addition of the direct and indirect object pronoun or both. The verbs chosen as examples were especially chosen to be different from those already used in Book 1 so that there is the least overlap possible. The main part treats the ten Forms of the verb of Semitic origin and the spelling changes required with the attached pronoun. Another first is an explanation of how Italian verbs are passed down to the Maltese language and how their conjugation is different between them and their original counterparts. All conjugations depend heavily on whether the verb starts with a vowel or silent letter, and whether in case of consonants it is an im/pure consonant. A number of verbs are conjugated in both negative and positive. Definitely the most detailed insight into conjugation of Maltese verbs to date. Booklet 1 Fill-In Exercises (96 pages) offers at least five types of exercises for the learner. The student can (i) guess the missing words unaided, or (ii) use the English footnotes on the same page as an aid. Alternatively, s/he can (iii) use the scrambled answers or (iv) the multiple choice method provided at the end of the book. (v) S/he can also follow the recordings on the CD or have them read by someone else. It reproduces partly or wholly the reading texts found in some of the Chapters in Book 1 with some key words missing. It also reproduces the Dictations in Part 4 of Book 2 with missing words to fill in. 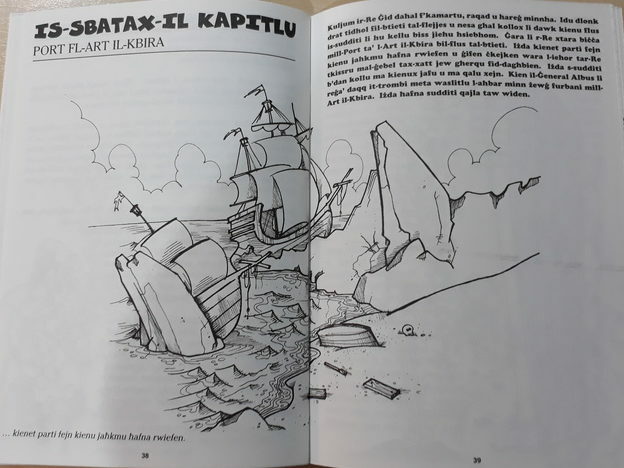 The exercises make it easier for the student to test his/her abilities at writing the Maltese language, at the same time highlighting problematic words and allowing the learner to focus on the latter. 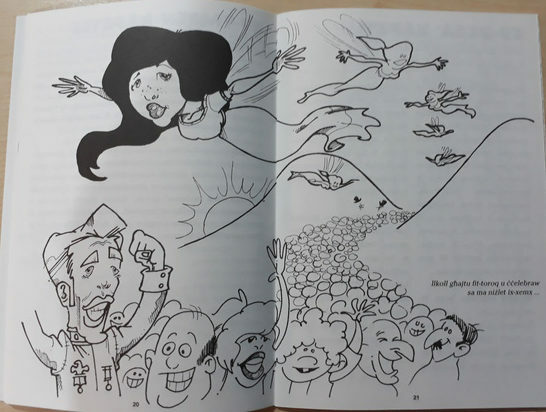 The booklet is also ideal for native speakers who want to test their spelling knowledge. The texts can be used both as preparation as well as revision material related to Book 1 lessons especially in a class situation. purchase of all of Book 2, 3 & 4 at once of the series only) as well as in Digipak format. It includes the reading out of all of the 32 reading passages accompanying all chapters of Book 1, the alphabet and other sounds such as consonant couplets, syllables, time expressions as well as the Dictation texts in Book 2 amongst others. Format: Set of 5 books & CD. No of pages: Book 1 Revised – 570 pages, Book 2 – 127 pages, Book 3 – 95 pages, Book 4 – 352 pages, Booklet 1 – 96 pages, CD – 3hrs 15 mins.